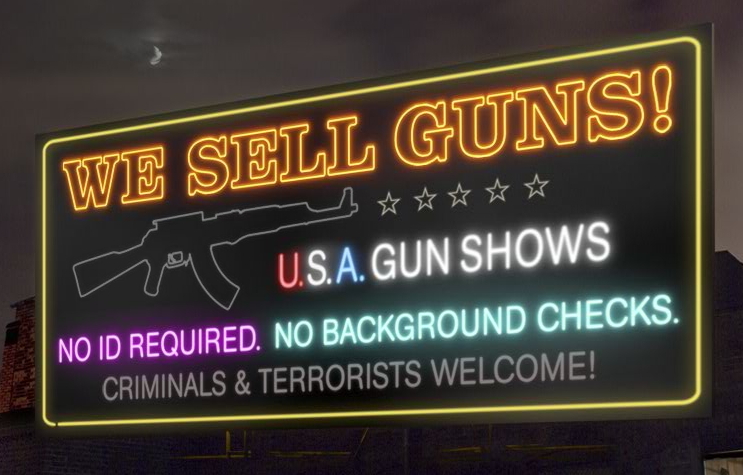 "We wanted to highlight these issues using the same vernacular and art direction that is used at gun shows, and we came up with an over the top satirical billboard that highlights the absurdity of this loophole," said ECD Gary Koepke. Well, let's hope the irony isn't lost on the same city that thought Mooninites were a bomb threat. Maybe for their next ridiculous project, they can go after the auto industry, since it's obviously their fault that terrorists use car bombs. Only the DNC is in Denver; the RNC is in St. Paul.